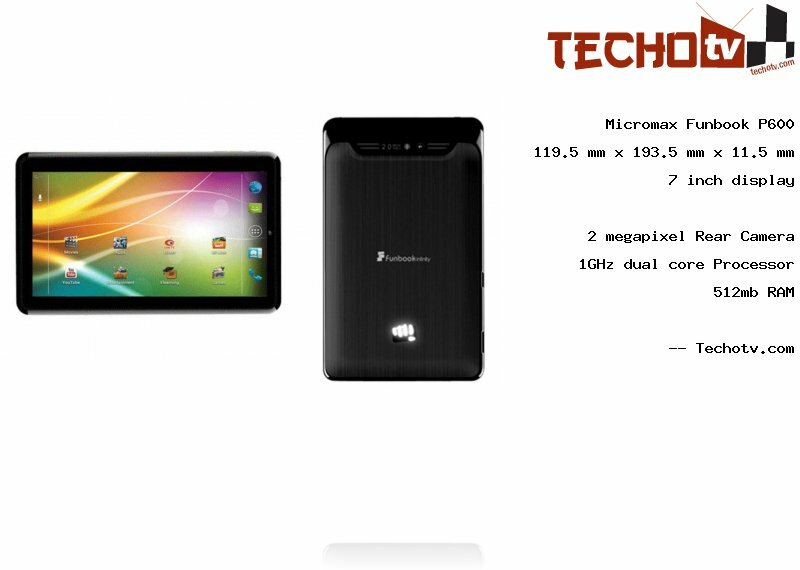 It is powered by 1GHz dual core processor. The RAM inside is limited to 512 mb. This device has physical dimension of 119.5 x 193.5 x 11.5 mm. We've 2 GB as internal storage capacity on this device. There is 2 megapixel primary camera situated at the rear of this tablet. On the front, we've yes camera. The Price of Micromax Funbook P600 is Rs 9499. More pricing details from different online stores are not available at the moment. 7-inch android tablet with voice calling support under price Rs 10,000.